"Shark Point is a great dive but only for experienced divers"
Michael McFadyen's Scuba Diving - Government Wharf, Fingal Head Fingal Head is really an island that is sometimes connected to the mainland by a sand spit. It is located about three kilometres south of the entry to Port Stephens. On the north side of the island was the old government wharf which was presumably used to reprovision the Point Stephens Lighthouse which is on Fingal Head. It is located in a small bay to the west of the main head. From Port Stephens head to the south to GPS Reading of 32° 44' 31.6"S 152° 11' 38.5"E (using datum AUS66 - see my GPS Page for more details). Run in towards the shore till you pick up the reef on your depth sounder. Drop anchor here. You will see that you are in a sort of small bay. The wharf used to run from the head of the bay out into the sea. Drop to the bottom of the anchor where the depth will be about 9 to 10 metres. From the anchor, head east along the reef edge. Along here you will see a number of huge timber piles from the old wharf. In spring, you will also see dozens of Port Jackson sharks in this area (and elsewhere on the dive). You will also see dozens of Port Jackson eggs, more than I have ever seen at any location. After about 20 metres the reef turns north for about 30 metres and then it turns east again. All along this section look for flatheads on the sand and if you are lucky, you may see a red indianfish. I saw one here in October 2006. The depth increases to about 12 and then almost 14 metres. 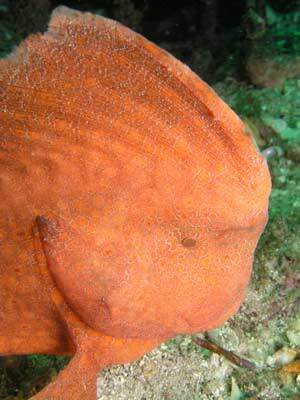 You may also see fiddler rays (I have seen three) and wobbegongs. Head back along your outward path back to the anchor. 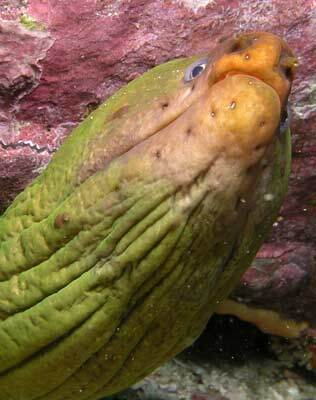 On the reef you may also see moray eels. Go past the anchor to the west and look for more of the same species. 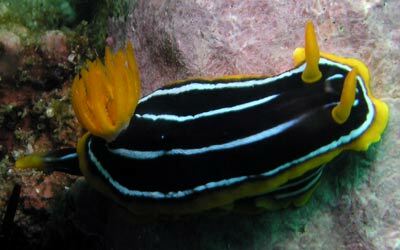 The rocks are also home to lots of interesting nudibranchs. The depth will come up to about eight metres. When you are running short of bottom time or air, return to the anchor. Once there, head south onto the reef and spend at least 10 minutes in the four to five metres area. There is excellent fishlife here, lots of luderick, bream, ladder-finned pomfret, butterfish and more. 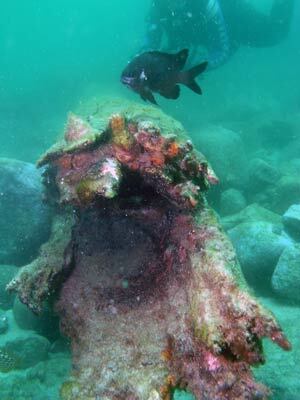 Due to the shallow nature of the site, you can spend a long time diving here, even as a second dive. Worth doing.